Jenkins Electric, LLC has more than 20 years of experience providing Central Virginia with exceptional electrical services. Our master electricians take pride in their work, and we focus on every detail to ensure that every client’s experience is a positive one. There are plenty of electricians in Orange, VA. But anyone who’s ever had to put up with overcharging, shoddy work and disrespectful service knows that not all electricians are worth hiring. Luckily, folks in Central Virginia looking for a trustworthy, experienced and friendly electrician can find everything they’re looking for in Jenkins Electric, LLC. We’ve been proudly serving the area since 1994, and we look forward to many more years of providing excellent service and a warm personal touch to each and every customer with whom we have contact. We are a proud locally owned and family operated small business in Orange, VA.
We have been in business since 1994, giving us over two decades of experience. We are fully licensed and certified, and proudly featured on Angie’s List. 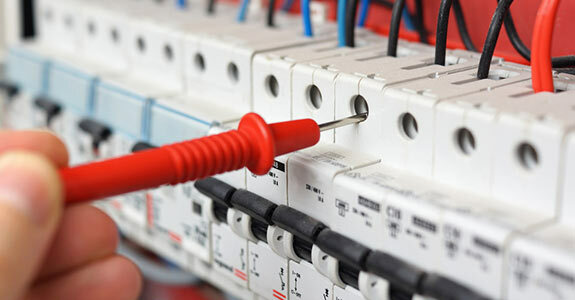 We can handle both residential and commercial electrical jobs. Our prices are always reasonable and transparent. "Larry Jenkins is the only electrician I call when I have any issues! He is kind and prompt. He is thorough and prides himself in a job well ..."
"I had a very serious problem with my favorite light in my entire house!! For some reason the light would not work even after I tried about 2..."
"Very kind and professional. EXCELLENT customer service. We will definitely call them anytime we need electrical work!" "I called Jenkins Electric to help with my Mom's stair lift that stopped working. She lives in our basement and needs the lift to access the ..."
"VERY PROFESSIONAL ELECTRICIAN. Larry contracts work with us at the County of Louisa. Larry is a skilled mechanic and is extremely knowledgea..."